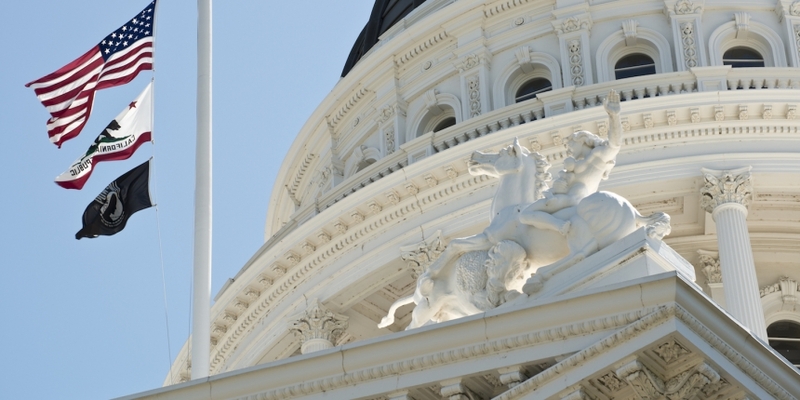 A California lawmaker has introduced a bill that, if passed, would update the state’s electronic records laws to account for blockchain signatures and smart contracts. The existing law “specifies that a record or signature may not be denied legal effect or enforceability solely because it is in electronic form and that a contract may not be denied legal effect or enforceability solely because an electronic record was used in its formation.” In essence, a signature on a blockchain would be legally enforceable should the bill advance through California’s legislature and be signed by Governor Jerry Brown. Likewise, the measure states that “a signature that is secured through blockchain technology is an electronic signature” and also updates the term “contract” to account for smart contracts, or self-executing pieces of code that trigger when certain conditions (like a reaching a particular block number on a blockchain) are met. The bill also addresses data storage on the blockchain. It proposes that individuals who choose to use a blockchain to secure personal information in the course of carrying out interstate or foreign commerce should retain the rights of ownership to their information. Calderon’s bill is the latest measure of its kind to emerge from a state-level legislature in the U.S. Representatives in Florida introduced similar legislation last month in the state’s House, and lawmakers in Arizona passed a bill last year that provided blockchain data and smart contracts with legal status. However, California’s bill is particularly notable given that the state’s economy is the largest in the U.S., with a Gross Domestic Product akin to that of France.